“It is simply impossible to imagine an audience that wouldn’t enjoy what they do,” says The Boston Globe of Cherish The Ladies. They are a Grammy Award nominated Irish-American supergroup that formed in 1985 to celebrate the rise of extraordinary women in what had been a male-dominated Celtic music scene. 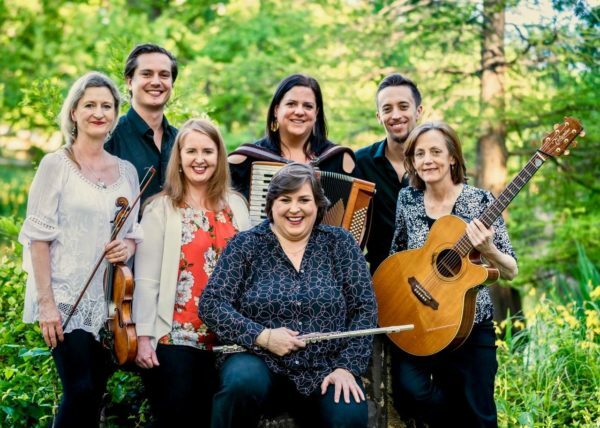 For more than three decades, Cherish The Ladies has shared timeless Irish traditions and good cheer with audiences worldwide. They’ve brought their signature blend of virtuosic instrumental talents, beautiful vocals, and stunning step dancing to the White House, the Olympics, and to PBS with their television special, An Irish Homecoming, which recently received an Emmy Award. The Washington Post praises the “astonishing array of virtuosity” that Cherish The Ladies bring to the stage on a regular basis. Their new album, Heart of the Home, embraces the gift of music passed down from generations. “It was the greatest gift they could give us,” says bandleader Joanie Madden. “We’re carrying on the music of our fathers.” As their reputation and admiration from both fans and critics alike continues to grow, Cherish The Ladies blazes forward into another decade of music making.